PURCHASE YOUR LESSONS FROM US! MUST BE ORDERED 14 BUSINESS DAYS IN ADVANCE. You will receive a voucher with a confirmation and instructions. If you have not received this prior to your departure, please contact us. Tipping is becoming more common, but is up to your discretion. $10 is the average for a full day lesson. Each resort has different purchasing and return rules! 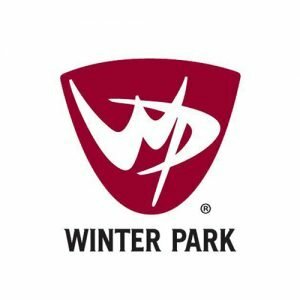 Winter Park does not allow cancellations within 72 hours of the lesson. Most lessons are not refundable unless an injury is sustained and Ski Patrol or the resort Medical Center provided treatment. Return your tickets and Medical Report to us. Lessons purchased from The Slope must be refunded through The Slope - not the ski area - within 5 days of the expiry date. We will attempt to secure a refund for you. We charge a $2 return fee. PRICES AND SEASON DATES ARE SUBJECT TO CHANGE WITHOUT NOTICE. 48% of every dollar spent in our store is recirculated locally. 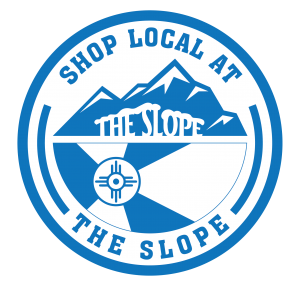 14% of every dollar spent in a chain store stays local while less than 1% of every dollar spent in an online store benefits our local economy!